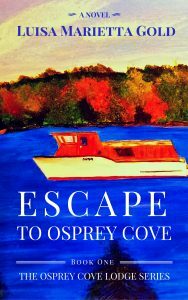 Love for this region in Canada which is the setting for The Osprey Cove Lodge Series. The characters are like people who walk in and out of each of our lives every day. Readers may find their own personalities reflected in some of the characters. Book Buyer's Guides is a participant in the Amazon Services LLC Associates Program, an affiliate advertising program designed to provide a means for sites to earn advertising fees by advertising and linking to amazon.com.